It is raining soft roaders everywhere. 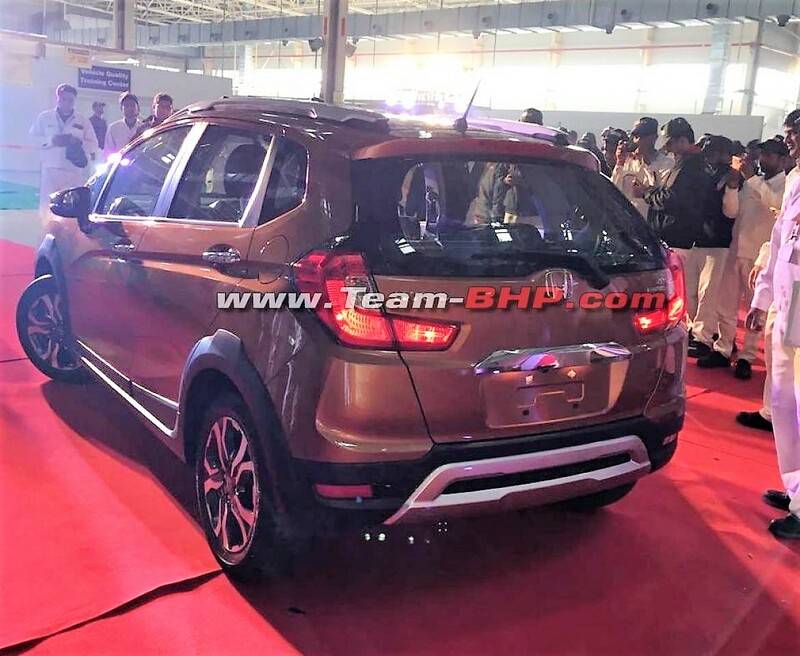 After BR-V, Honda’s next shot in this segment will be an even softer WR-V. WR-V was unveiled at the Sao Paulo Motor Show in Brazil in November 2016 and in a series of spy pics, the India-spec version has already been leaked. These pics, sourced from Team-BHP, are from an official unveiling event of the car at Honda’s Tapukara plant in Rajasthan. Update – Latest pics of the car have surfaced (at Team-bhp) where a white coloured WR-V has been caught during shipping to dealerships. 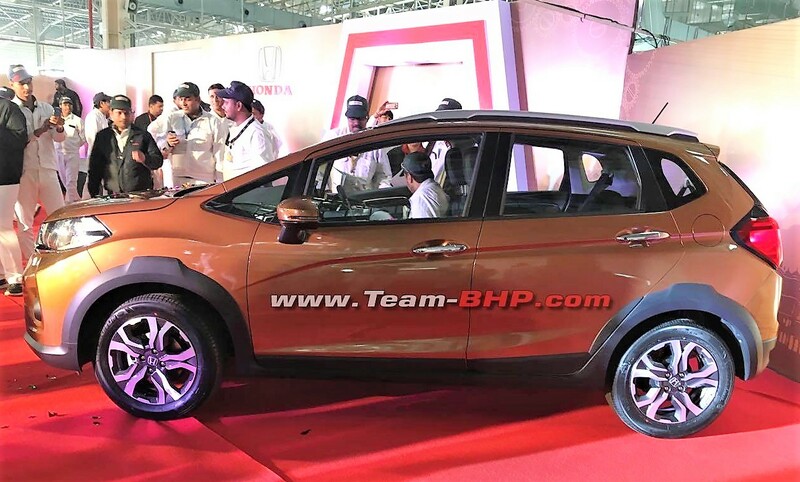 This is a confirmation that Honda has started dispatches of WR-V. 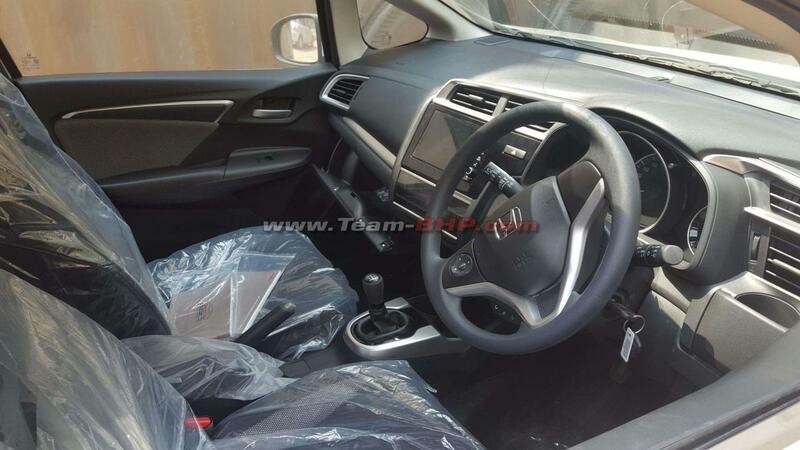 It is the VX trim under the lens and there are minor design differences as compared to the Jazz. India is the first country to manufacture and launch WR-V in the world. 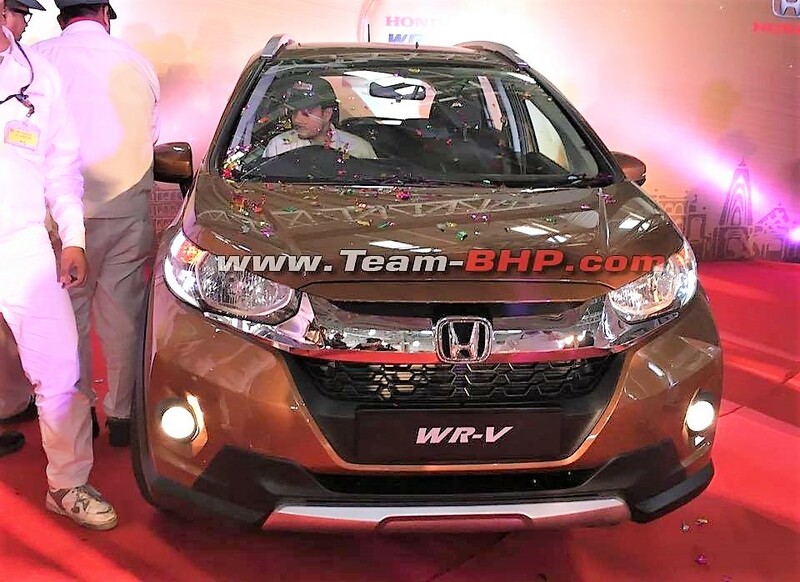 They say that WR-V is the first model developed by Honda R&D in India in collaboration with Honda R&D in Japan. It is being promoted as a Sports Lifestyle Vehicle. Based on the Jazz (called as ‘Fit’ in Brazil), the WR-V, or the Winsome Runabout Vehicle (wait… what? ), looks sharper than the hatchback. Higher ground clearance, body cladding and bigger wheel rims are prominent takeaways from the production model. Engine specifications have not been confirmed. However, for India, it is likely to carry the same 90 bhp 1.2 Liter i-Vtec petrol engine as well as the 100 bhp 1.5 Liter i-Dtec diesel engine combos. 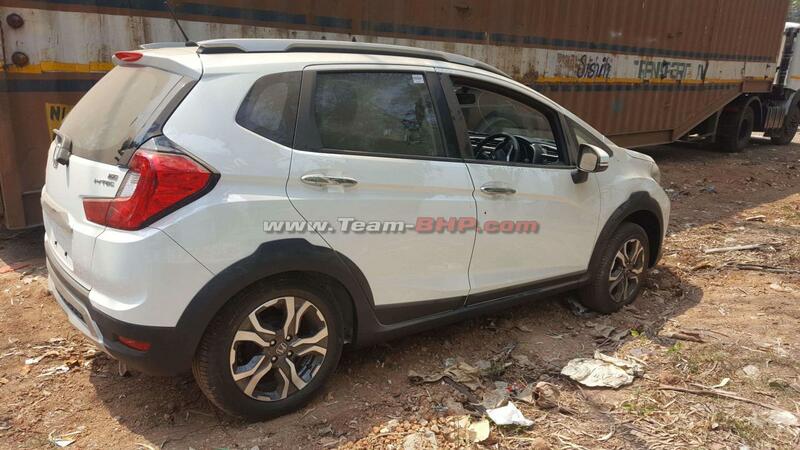 Apart from the manual transmissions, WR-V may also get the CVT gearbox with the petrol engine (only). The WR-V also gets faux aluminium skid plates. It also comes with a grille with chrome inserts inspired from the BR-V. 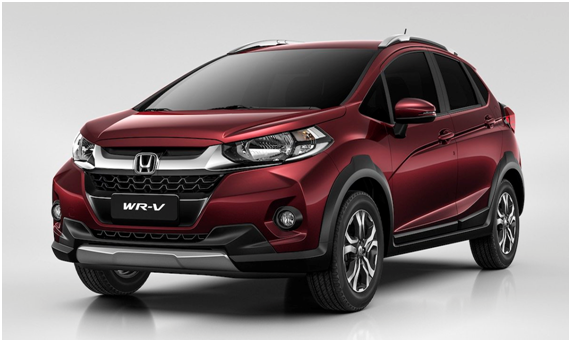 According to the official announcement shared by Honda, WR-V will be launched on 16th March in India. Pre-launch bookings have commenced at a payment of Rs 21,000 across all dealerships in India. Quite clearly, WR-V will sit just ahead of the Jazz and under their compact SUV BR-V. Considering that BR-V has not been able to do well (so far, majorly because of lack of features and high price), WR-V is expected to be more sensibly priced along with being fairly well kitted. We estimate the ex-showroom price range between 6.5 Lakhs to 10 Lakhs. The good thing going in favour of WR-V is that it looks fairly different from Jazz (at least from the front). Jazz is averaging between 2500 to 3500 units every month and Honda would be expecting nothing less than half of this to make a case for WR-V. But, will it strike?